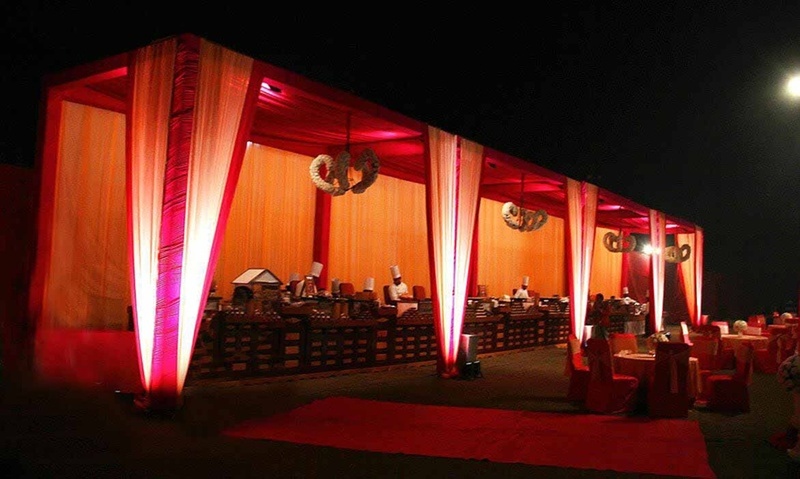 F&B Flora Farms, Chattarpur, Delhi caters to large scale events, plans beautiful, elegant and luxurious wedding functions. With a flexible approach to wedding planning, it has clients from all over the world and offers tailored services for individual needs. The management believes in commitment and high standards of service, excellence and attention to detail. Flora Farms Chattarpur serves a wide range of delicacies to choose from in both vegetarian and non-vegetarian food to their guests. It gives you the freedom to get your own caterer from outside to serve your favourite cuisines to your guests for your function. F&B Farms Chattarpur serves alcohol and allows you to get it from outside to please your guests. The decor team takes care of the decoration for your big day. F And B Flora Farms offers ample car parking space and valet parking service to their guests. It has multiple party areas allowing you to have different functions at the same venue. F&B Flora Farms has lush green lawns which are ideal for an evening reception. It also has a banquet hall for an indoor wedding and reception ceremony. F&B Flora Farms, Chattarpur, Delhi offers complimentary changing room for the bride and the groom on their special day. F&B Flora Farms with huge lawns and plush banquet interiors, the venue is the perfect place for huge gatherings and events. The venue is also great for wedding destination that too at best price. 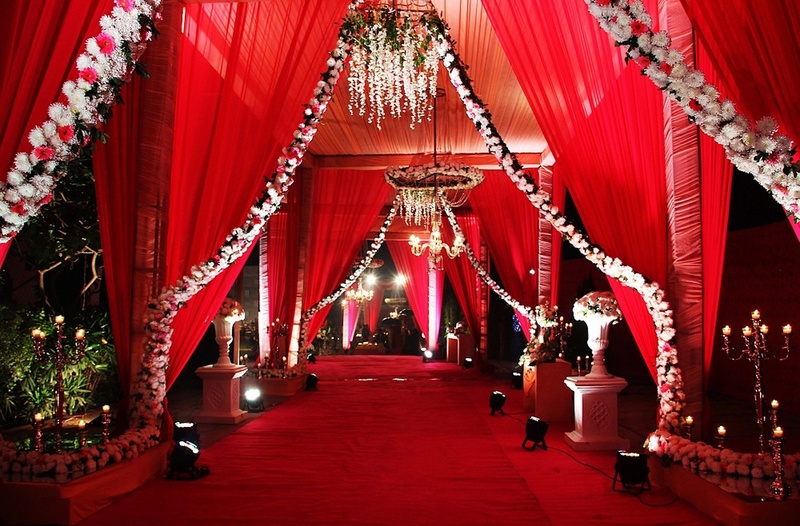 The F&B Flora Farms located in Chattarpur, Delhi has Banquet Halls and Wedding Lawns. Lawn 2 can accommodate upto 250 guests in seating and 400 guests in floating. Hall can accommodate upto 300 guests in seating and 500 guests in floating. Lawn 1 can accommodate upto 800 guests in seating and 1500 guests in floating. Vegetarian and Non Vegetarian food is served at this venue. Features of this wedding venues are : Food provided by the venue , Outside food/caterer allowed at the venue , Non-Veg allowed at the venue , Alcohol allowed at the venue , Outside alcohol allowed at the venue , Music allowed late , Halls are air Conditioned , Ample parking , Baarat allowed , Hawan allowed , Overnight wedding allowed , Decor provided by the venue , Packages starts at Rs 1500 per plate for vegetarian menu and at Rs 1700 for non veg menu. Decoration starts at Rs 75000.